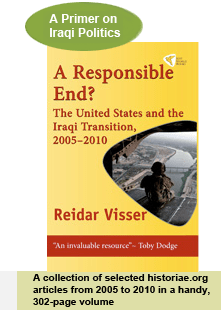 On 16 April 2008 the Iraqi government confirmed that its two top security officials in Basra – General Mohan al-Firayji as well as Abd al-Jalil Khalaf – had been transferred to “high-ranking positions” in the defence ministry in Baghdad. The transfer seems to have been a demotion in everything but the name. While it is true that there is a conspicuous link here to the early March demonstrations by ISCI/Sayyid al-Shuhada (which specifically requested the dismissal of General Mohan and Abd al-Jalil Khalaf), it is also worth recalling that in the same period, ISCI members circulated rumours about yet another attempt to have Maliki replaced by ISCI’s own Adil Abd al-Mahdi, not least because of dissatisfaction with Maliki’s centralist stance on the provincial powers act. 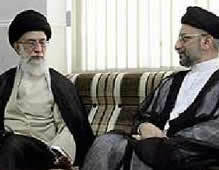 Crucially, the rumours of a replacement of Mohan in Basra antedated all these events. Apparently, then, the dominant parties of the Maliki government have been brought closer together by the latest series of crises, rather than having pursued a shared agenda consistently for several months. Recent reports of increased pragmatism on the part of Maliki vis-à-vis Kurdish claims in the oil question could be another expression of a ruling clique that sees the necessity of first and foremost staying united in the face of growing parliamentary opposition of the kind seen in the debate over local elections – where Sunni and Shiite Islamists as well as secularists came together to challenge Maliki in a demand for early elections. “On the other hand, if we succeed in Iraq after all that al-Qaida and Iran have invested there, it would be a historic blow to the global terrorist movement and a severe setback for Iran. It would demonstrate to a watching world that mainstream Arabs reject the ideology of al-Qaida, and mainstream Shiites reject the ideology of Iran’s radical regime.” (George Bush, 10 April 2008). “Mainstream Shiites”, yes, but apparently not Bush’s own favourites, such as Abd al-Aziz al-Hakim, pictured here in a recent meeting with Iran’s Ali Khamenei. “Rejection” simply isn’t the term that comes to mind. One week after the upsurge of violence in Basra, questions about the motives and the implications of the fighting still linger. The issue of Iran’s involvement remains especially obscure… Full story here.